Henley Royal Regatta is one of the highlights of both the sporting and social calendar’s. Since its inception in 1851, it has enjoyed Royal patronage, from Prince Albert to Princess Anne. It is a jewel in the crown of any rower’s career and boasts the most exquisite hospitality. Unlike in most regattas, boats compete just two abreast, providing exhilarating head-to-head competition. Be prepared for this unique 5 day event of over 250 world class events with our essential guide to the Henley Regatta 2013 schedule of events. Much like The Wimbledon Tennis Championships, Henley’s history, tradition and customs distinguish it within the racing world and add to the prestige of this renowned Regatta. 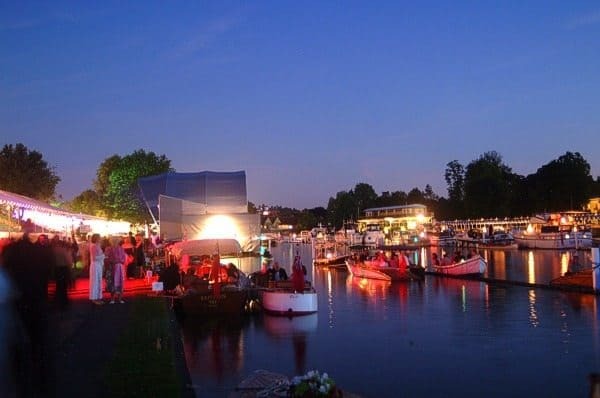 Henley Regatta is undoubtedly the most famous regatta in the world and is one of the highlights of both the summer sporting calendar and the social season. The rowing on display is a thrill for spectators, with 200 international caliber races across 26 events – including Olympic competitors. With the introduction in 2012 of a Junior Women’s’ Quadruple Sculls, the Henley Regatta 2013 schedule is larger and more comprehensive than at any time in its history. Hardly surprising then, that this prestigious event attracts thousands of competitors from all over the world, making early booking essential. The first rounds of the Thames, Temple, Princess Elizabeth, Wyfold, Britannia, Prince Albert and Fawley Challenge Cups will begin racing on Wednesday 3rd July.